Hostelworld, the world’s leading hostel-focused online booking platform today announces that, after 16 years with the Group and 10 years as Chief Executive Officer, Feargal Mooney will step down as CEO. Gary Morrison will become the Group’s new CEO and director also immediately after the 11 June Annual General Meeting. Morrison joins the Group from Expedia where for the last seven years he served in a number of roles, most recently as Head of its Retail Operations. 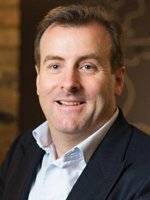 Prior to that he headed up Expedia’s EMEA region presiding over a period of considerable and sustained growth. Morrison has also worked with Google and Motorola. Mooney joined Hostelworld Group 16 years ago, shortly after it was established. He has served as Chief Operations and Finance Officer and, since 2008, as Chief Executive. During that time he has made a singular contribution to the Group’s development, initially in private ownership, before transitioning to private equity and finally steering the Company to a successful IPO in 2015. He has led the globalisation of the business including the development of offices in Shanghai, Seoul and Sydney. He has been one of the leading campaigners for the hostel industry during his time as Chief Executive. Gary Morrison commented: “I’m honoured and grateful to the Board for the opportunity to lead this exceptional business. The Hostelworld Group has been very successful at delivering social travel experiences for almost 19 years, and I am looking forward to working with the Hostelworld team, the Board, Hostellers and our partners to deliver the next phase of growth”.